The Human Rights Center promotes research on real-world challenges, prepares future lawyers with the commitment and skills to defend human rights, and partners with civil society, governments, and institutions to impact law, policy, and practice. 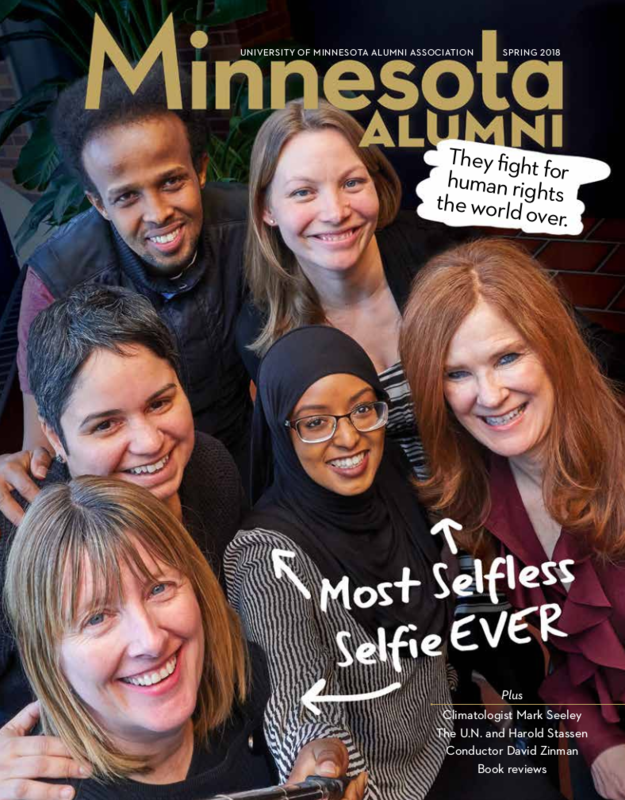 Founded in 1988, the Center is well placed as part of the exceptional human rights community at the Law School, across the University, and in the Twin Cities. Students benefit from on-campus programming and opportunities for applied research, hands-on experience, and professional development in the fields of human rights and international law. 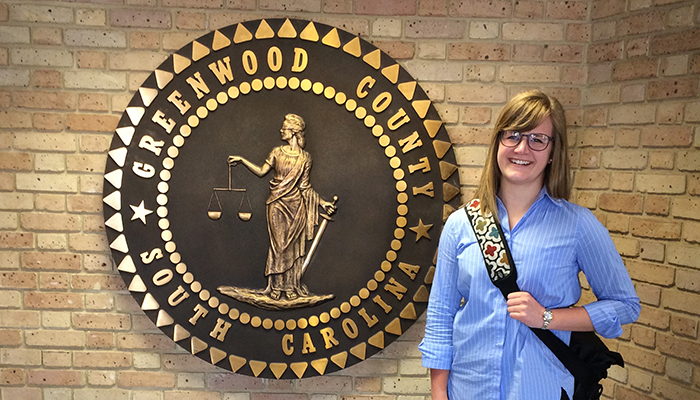 For her summer internship, Kristen Ann was motivated by her desire to work toward ending capital punishment in the United States. Her human rights fellowship gave her the opportunity see firsthand the real task and hard work of lawyering in a way that respects and defends the human dignity of all. She was able to work on two critical cases and learn directly from the principled and dedicated lawyers at the South Carolina Commission on Indigent Defense. 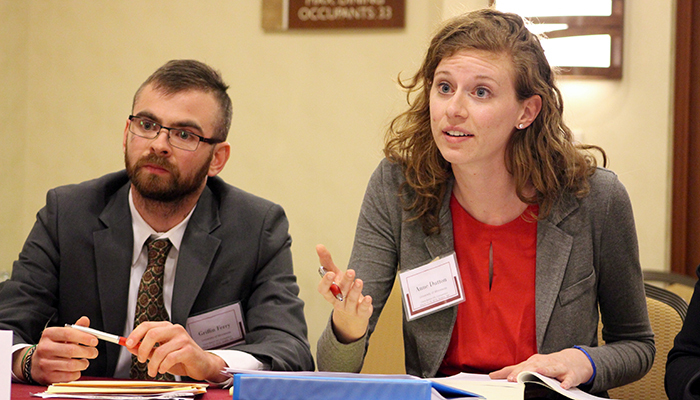 The Human Rights Center team of Griffin Ferry (’16), Anne Dutton (’16) and Dane Rockow (’16) (not pictured) won the 2016 Clara Barton International Humanitarian Law Competition. This simulation-based role playing event, conducted by the American Red Cross, requires participants to grapple with real-world challenges that practitioners of international humanitarian law face during armed conflicts. Participants explore the application of the law through fictional but realistic case studies of armed conflict. The situations evolve throughout the event and competitors are tested on their ability to advocate before a diverse range of stakeholders in a complex and dynamic legal context. 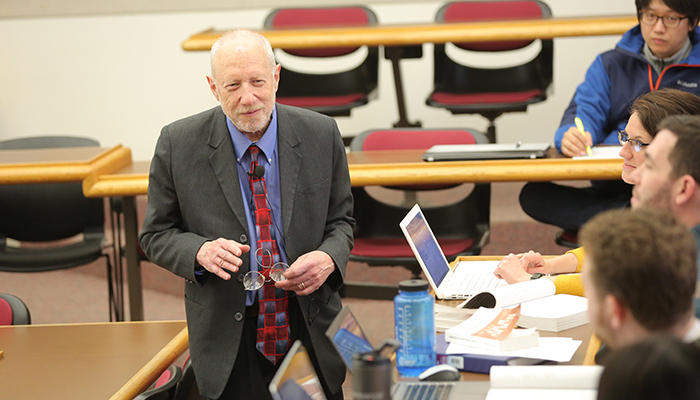 Professor David Weissbrodt founded the University of Minnesota’s Human Rights Center in 1988 as one of the first academic settings dedicated to supporting the local, national and international human rights community. An inspirational professor and scholar, he has impacted the lives of generations of students and his scholarship has had great influence on the human rights field. He helped found several human rights organizations and has been a key player in the United Nations human rights system. His work, vision and leadership have made Minnesota known world-wide for excellence in the human rights field. Prof. Fionnuala D. Ní Aoláin speaks about the impact of terrorism on women and civil society.